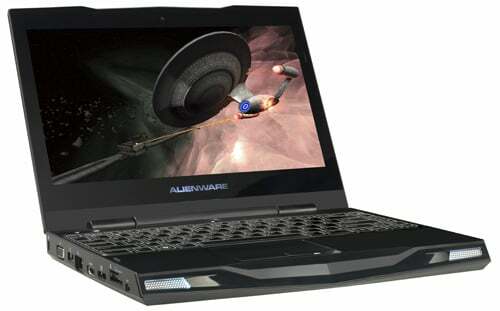 Review The Alienware M11x has been heralded as the world's first true gaming netbook. To be fair, that's not a misnomer Dell uses in its advertising, preferring to position the 285mm wide 11.6in widescreen unit as simply a sub-15in gaming laptop. It's right to do so. At 33mm thick, a fraction under 2kg and sporting a 1366 x 768 screen, the M11x is more ultra-portable than netbook. But even this categorisation proves limited, as the relatively potent Nivdia GeForce GT 335M graphics card offers gaming capabilities unseen in other ultra-portables. The M11x won't trouble larger, dedicated gaming laptops. I tested the M11x with a Core 2 Duo CPU. The M11x is getting Core i5 and i7 CPUs any day now, but even so, this recent incarnation M11x should satisfy anyone looking for a truly mobile gaming machine. Its aesthetics won't satisfy everyone, though. The M11x inherits the chunky, angular looks of Alienware's M15x and M17x. But they do provide greater robustness than other ultra-portables. Sturdy hinges close the claspless clamshell with a reassuring thud. And with almost no flex, the screen is well protected when opening or closing. The keyboard and large, textured touchpad compared well with other 11.6in laptops. But the touchpad's springy buttons feel cheap, and the cursor keys are only half-size. 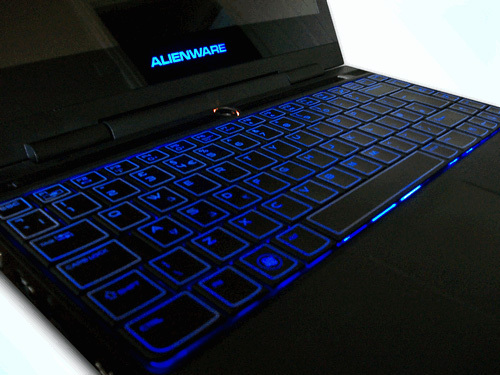 The included AlienFX software allows for independent customisation of keyboard, front grille, power button and logo lights. Although certain combinations (not to mention pulsating or morphing options) take you into garish Max Power territory, it looks surprisingly good when employed tastefully. There's a good array of ports: HDMI, DisplayPort, VGA, powered USB, mini-firewire, card reader, SIM and Fast Ethernet are located on the left side. And on the right there are two USB ports, two audio outputs and one microphone input (that can be utilised for 5.1 audio), leaving just the power cord at the rear.